The Gist: The ANA Awards took place in Orlando, FL, 2015. In order to take these executives out of the stuffy conference halls, a luxurious farm to table inspired dinner was created at Whisper Creek Farm. 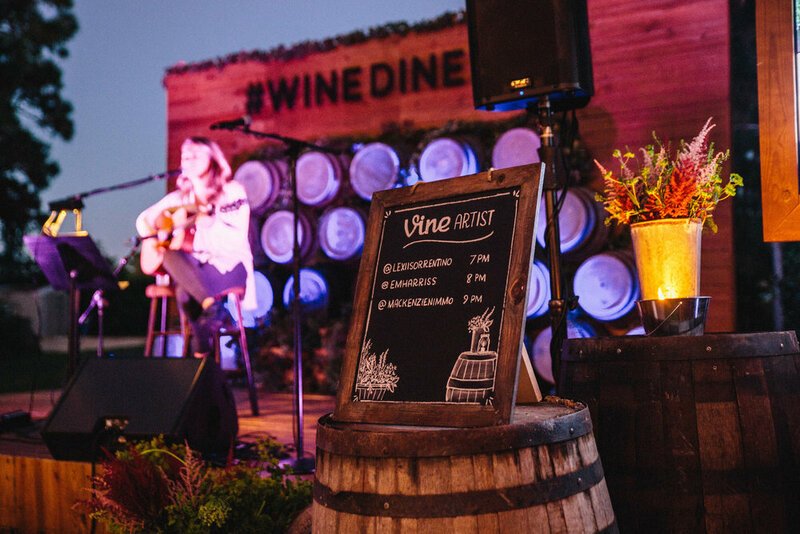 Titled “WineDineVine” the evening was full of engaging moments from cigar rolling, bocci ball courts, pour station, moonshine bars, and live performance by Vine’s most popular musicians.